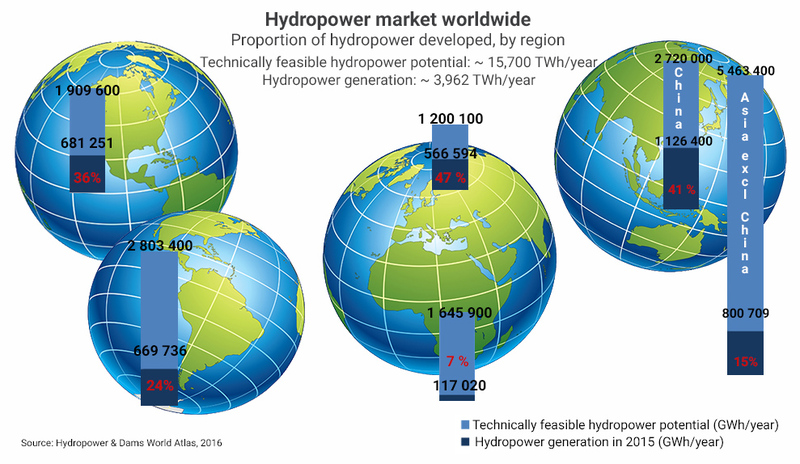 People around the world are working to exploit the potential of hydropower (which is unbelievable 16.000 TWh per year) by building new hydropower plants. In particular in regions where energy demands will increase dramatically in the next few years - such as in Asia, South America, and Africa. 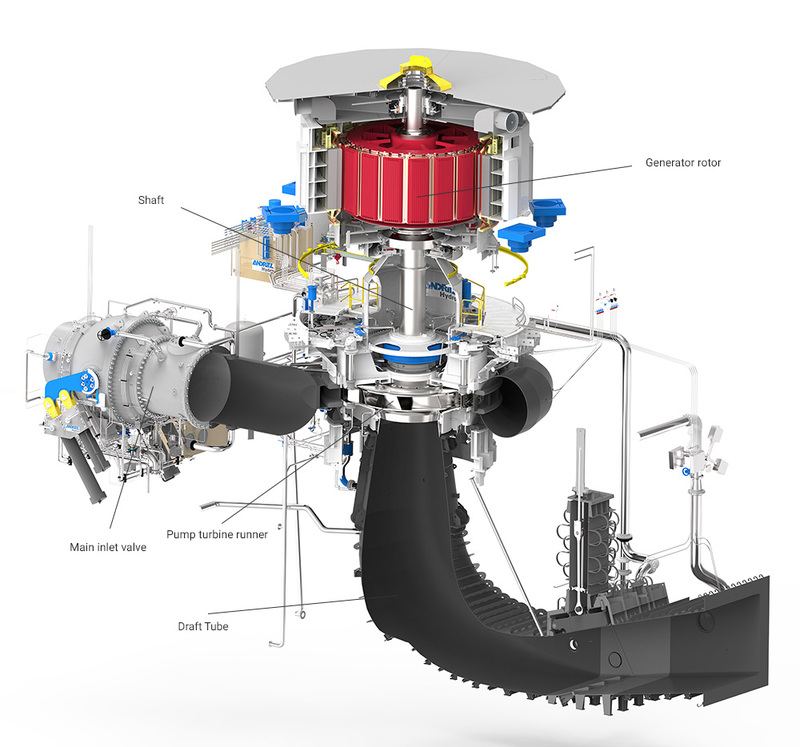 The “Large Hydro” Division is a global supplier of turnkey electromechanical equipment and services for the installation of large new hydropower plants (“water to wire”) and components, including installation beyond the compact hydro range. Building a new hydropower plant is a high asset-value investment. With ANDRITZ HYDRO your investment is safe and benefits from our long-term experience and innovative drive. The company focuses on the ability to provide customers with complete solutions, from project planning to design, engineering, model testing, project management, purchasing, manufacturing, site services, and training for the complete range of equipment and services. Whether your hydropower project is a “green field” development, an extension or a modification of existing facilities, ANDRITZ HYDRO has the know-how to ensure your objectives and particular requirements are achieved on time and within budget. The “green” power produced is the key to a clean and renewable source of energy for generations to come, in perfect harmony with solar, wind, and other regenerative solutions, for the good of the environment as a whole. Storing energy at off-peak periods and grid regulating tasks become more and more important. As one of the main suppliers for water-to-wire pumped storage technology, we have followed up those trends and have the solutions for pumped storage plants up to highest heads and for fixed or variable speed technology. ANDRITZ HYDRO’s tailor-made solutions are perfectly suited to your specific energy production cycles and market needs. Commercial operation of the new pumped storage power plant started in October 2016.